If your busy schedule leaves no time for a holiday in Italy this summer, never fear! World-class Italian artists are exhibiting at this year’s Edinburgh Festival. The Scottish capital is a city world-renowned for its festivals, bringing together the very best in art and culture. If you’re longing to experience the beauty found on one of our Italian painting holidays but can’t find the time to get away, a trip to Edinburgh is the next best thing. 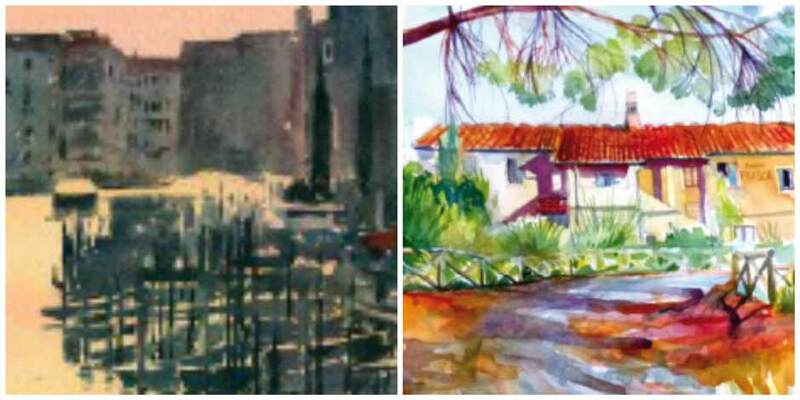 There are many Italian artists, hailing from our most popular painting holiday destinations including Venice, Tuscany and Sicily, exhibiting their works here this summer of 2014. If you can’t book a Flavours painting holiday to Italy, you can still sample local art with an exhibition from the duo known as M&P (Monticelli&Pagone), along with other prominent artists from the Puglia region. Taking place in the Alpha Art Gallery in Stockbridge, along with live performances, the exhibit features works from Pino Caputi and Magda Milano to name a couple. The story of William Tell is brought to life to music conducted by operatic legend Gioacchino Rossini in a live performance at Usher Hall. The music will no doubt evoke memories of a past painting holiday in Italy, or move you book a visit. Can’t book an Italian painting holiday with kids? They can still enjoy Italian art with a free exhibit at the Scottish Storytelling Centre. Famed illustrators Germano Ovani and Martina Peluso will display their drawings here, and there are even kids workshops taking place, in which they can meet the artists. Of course, there’s more than just art on show at the Festival. A visit to see an award-winning Italian chef cooking up a culinary storm on stage will no doubt inspire you to book one of our Italian cooking holidays! If seeing these and other incredible exhibits has whet your appetite, why not start thinking about booking your next Italian painting holiday? We have tours that take you to Tuscany, Venice and Sicily, giving you the opportunity to unleash your creativity alongside an experienced painting tutor in a picturesque Italian villa. To find out more about booking a Flavours painting holiday, get in touch with us today. Want to keep up to date with Italian art, cooking and travel? Follow us @FlavoursofItaly for the latest news and exciting giveaways!